Offering three different tours throughout one of the country’s oldest cities, you are sure to find some delicious snacks along the way! Try the trendy Allston, the flavorful Chinatown, or the sweet + savory South End tour to eat the many unique flavors of Boston. Have a private tour in mind? They will work with your group to make a truly unique + deliciously perfect experience. Alyssa Schoenfeld, founder + owner of Bites of Boston! A love of food, culture and all things urban! Growing up in a Greek family, food has always been a part of our family gatherings, holidays and celebrations. Certain dishes are always present, and frankly, getting together simply would not be the same without them. I realized as an adult that this type of tradition is common across so many cultures, and I have always since been fascinated with the role food plays in people's lives - both every day and when it comes to family / tradition / heritage. I am also a city girl - I love the hustle and bustle of city life, the constantly alive feeling of city centers and the strong sense urban community in Boston especially. And, of course, the dynamic, delicious food scene! Bites of Boston Food Tours is the result of a desire to create experiences that would combine these passions for others to enjoy. I am most proud of the unique, memorable Boston experiences we are able to provide to our tour guests. There are many ways to see and explore Boston, and I believe the food scene and individual personalities of Boston's vibrant neighborhoods are a side of the city not to be missed. By serving local food in the context of the each neighborhood's historical, cultural and/or architectural context, we have created a truly unique way to experience the city of Boston and get to know its neighborhoods. Everything! 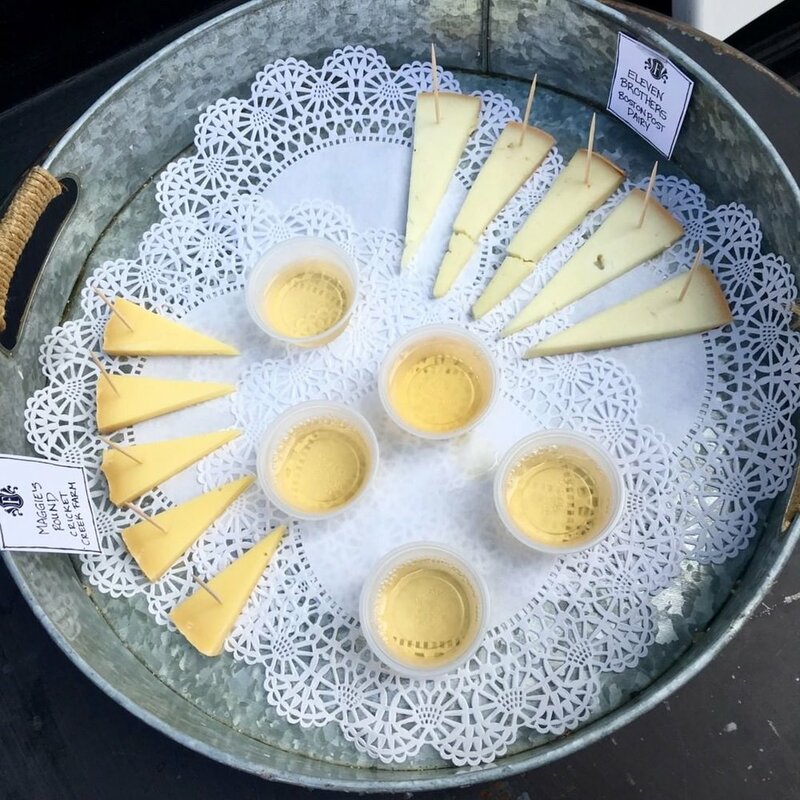 Since 2011, Bites of Boston Food Tours has grown from a team of 1 with 1 tour offering, to a team of 5 with offerings in 3 different neighborhoods. Creating experiences for others to enjoy and inspiring a team of tour guides to share those experiences has been truly rewarding. Getting to know the proprietors and staff at the eateries we partner with for our tours has also been a highlight. It is an honor to be able to share the stories, visions, concepts and fabulous menus of our local Chefs and Owners with tour guests from near and far. Our team. Our partners. Our approach. We have a great team of enthusiastic guides who make our experiences memorable. We work with locally-owned businesses that make our neighborhood food experiences unique to Boston. We not only introduce our guests to food, we also serve local fare in the context of the neighborhood surroundings for a truly local, one-of-a-kind Boston experience. Currently, it's Chinatown. We launched a new tour in Chinatown last summer, and I continue to remain obsessed with the food, as well as the opportunity to learn and try something new each and every time I visit. My all time favorite restaurant in Boston is The Daily Catch on Hanover Street in the North End. It is a tiny spot with 16 seats, and my family has been going there for years. The black pasta puttanesca is a fave and the fried calamari is the best ever! Utah. It is a true escape from my norm. I love the natural beauty of the mountains and amazing skiing experiences we have when we visit. It is a peaceful retreat I always look forward to. Wow, this is a tough question - I'm not sure I could pick just one, but if I had to, I think I'd have to say I appreciate sight most. We are visual creatures, and I think arriving in a new place and being able to see the differences from what you are familiar with immediately really sets the tone for the experience. Do you have a travel memory that is important to you? Oh - so many! However, my hand down best travel memory is my Study Abroad experience in Athens, Greece during my junior year of college. I spent a semester in what is now my all time favorite country in the world, and nothing can match the opportunity of being able to LIVE in a city for a few months to really experience and absorb the local culture. Before returning home, I also spent a month traveling around Europe. Spending this time abroad is easily the best decision I have ever made. Ice Ice Baby - Vanilla Ice! Can't help it - it's my jam! Have any questions about Boston Bites Food Tours? Let us know in the comments!